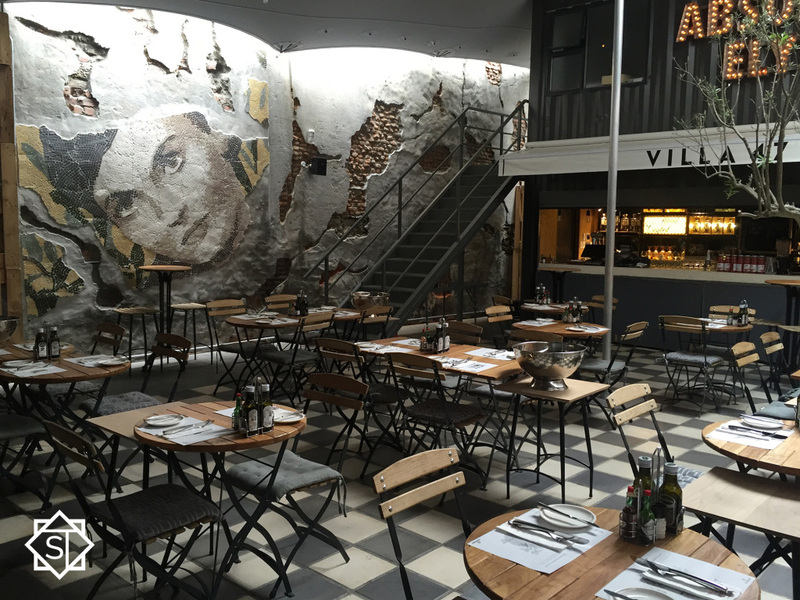 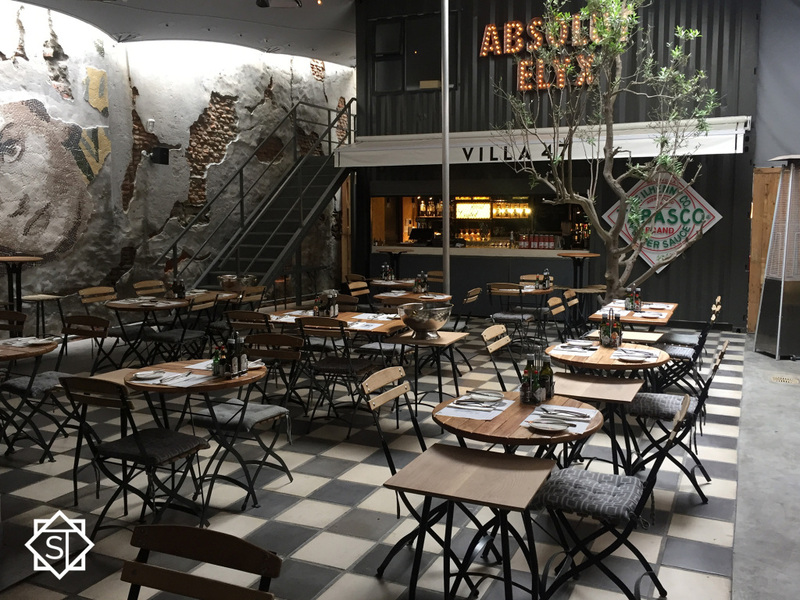 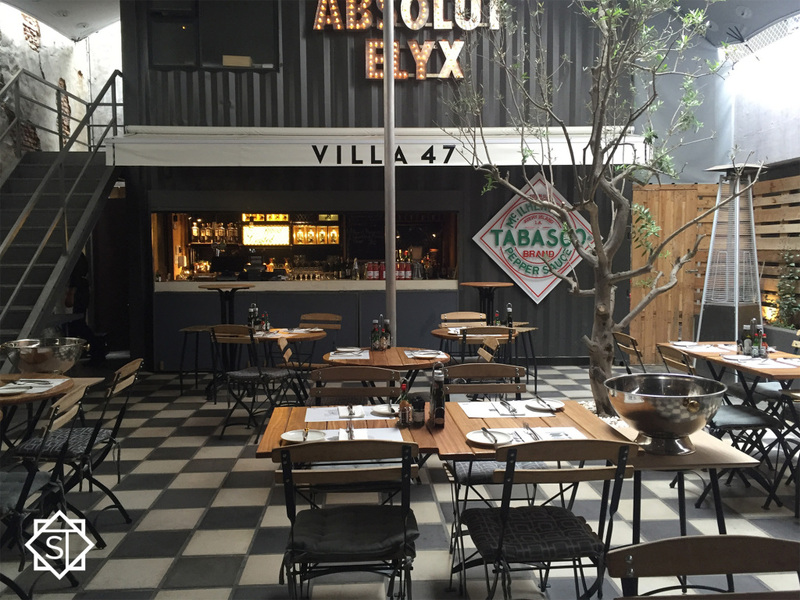 We visited the recently opened Villa 47 to view their Italian inspired courtyard, one of the many magical spaces located in this Bree Street restaurant. 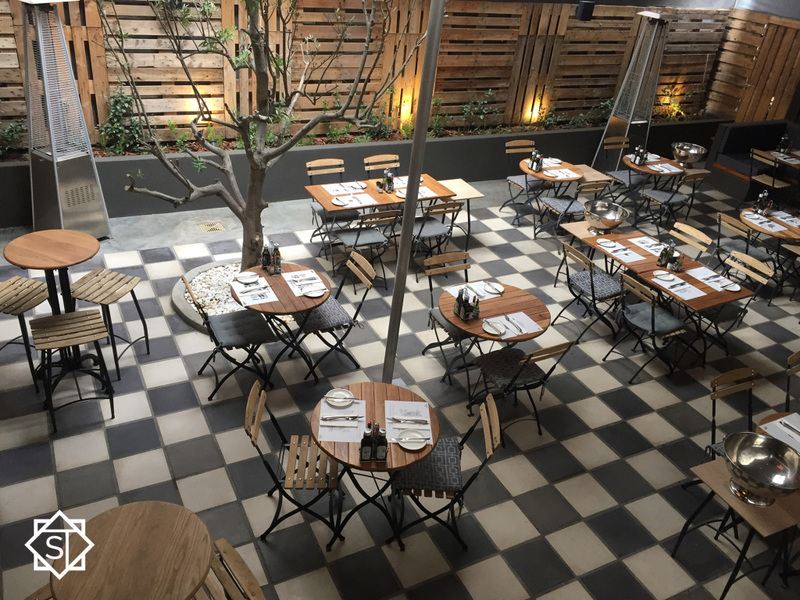 They have used our Charcoal & Light Sand Quarry tiles to create this magical floor that brings life to this space and has really created a stand out feature. 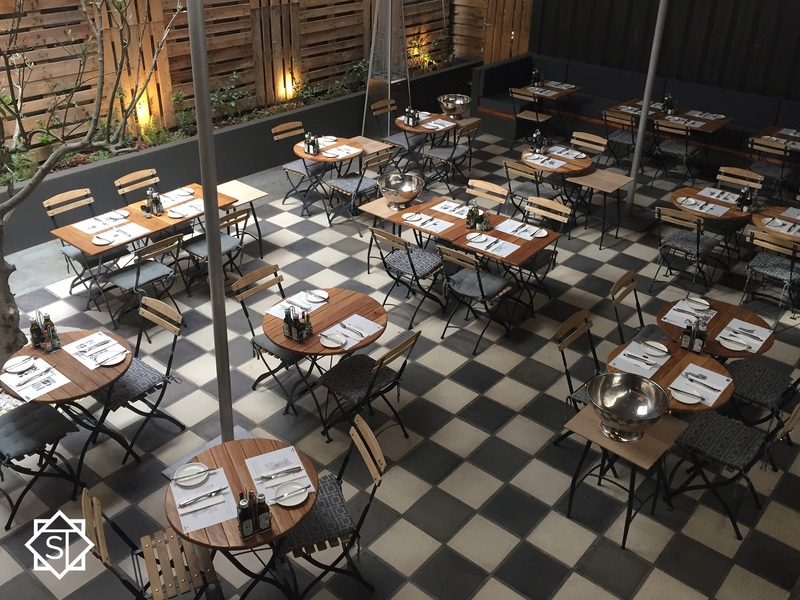 This restaurant has been beautifully curated by the talented team at Inhouse Brand Architects – always creating bold and on point designs.